"We are excited to welcome the team from PHARMAQ, who share our passion for supporting customers and keeping livestock healthy and productive"
FLORHAM PARK, N.J.--(BUSINESS WIRE)--Zoetis Inc. (NYSE:ZTS) today announced an agreement to purchase PHARMAQ, the global leader in vaccines and innovation for health products in aquaculture, for a price of $765 million on a debt-free basis. Acquiring PHARMAQ strengthens Zoetis’ core livestock business, giving the company a market-leading presence in the fastest growing segment of the animal health industry. Zoetis is purchasing PHARMAQ from a company owned by Permira IV, a fund managed by the global investment firm Permira, which has been the majority owner of the company since 2013. PHARMAQ is the market leader in sales of vaccines for farmed fish, a market segment growing 10% annually. The company generated revenues of approximately $80 million in 2014 and has a presence in the major aquaculture markets in the world. PHARMAQ revenue grew at a compound annual growth rate of 17% from 2005 to 2014. Privately-held PHARMAQ has approximately 200 employees, is based in Oslo, Norway, and has subsidiaries in Chile, the United Kingdom, Vietnam, Spain, Turkey, Panama, and Hong Kong. PHARMAQ’s well-respected R&D organization addresses many of the most pressing health needs of the aquaculture industry. Its late-stage development pipeline includes important new vaccines and next-generation parasiticides expected to enter the Norwegian, Chilean and UK markets in the near term. Fish remains the most consumed animal source of protein worldwide. Farmed fish accounts for about 50% of total fish consumption up from 15% in 1990.3 Moreover, current medicalization rates for fish rank at the lowest level of any livestock category. Healthcare spending is expected to increase as productivity of fish farming becomes more efficient to address the rising global demand for protein. With this acquisition, Zoetis adds vaccine brands such as AlphaJect® (an injectable vaccine) to its diverse portfolio of more than 300 product lines. It also adds parasiticides such as AlphaMax® to protect farmed salmon from sea lice. PHARMAQ diagnostic products complement the Zoetis diagnostics business and support customers with early detection of infection and rapid response through more customized solutions. PHARMAQ also provides dip/immersion vaccines, therapeutics, and technical support services tailored to the needs of farmed fish operations. Zoetis expects to complete the acquisition on or about Nov. 10, 2015, and it intends to draw on its revolving credit facility to finance the transaction. Inclusive of financing costs, Zoetis expects the transaction to be neutral to adjusted earnings in 2016 and become accretive to adjusted earnings thereafter. Zoetis will discuss the transaction on its regularly scheduled third quarter financial investor conference call tomorrow, Nov. 3, at 8:30 a.m. (EST). 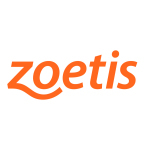 Investors and the public may access the live webcast by visiting the Zoetis website at http://www.zoetis.com/events-and-presentations. A replay of the webcast will be archived and made available on Nov. 3, 2015. For more information, visit www.zoetis.com and www.PHARMAQ.no. PHARMAQ is the world's leading pharmaceutical company supplying the aquaculture industry. The company provides environmentally sound, safe and efficacious health products to the global aquaculture industry through targeted research and the commitment of dedicated people. The vaccines are manufactured in a state of the art production facility in Overhalla and Oslo, Norway. Administration and research and development activities are based in Oslo with subsidiaries in Norway, Chile, United Kingdom, Vietnam, Turkey, Spain, Panama and Hong Kong. PHARMAQ has approximately 200 employees. The company's products are marketed in Europe, North and South America, and Asia. PHARMAQ's majority shareholder is the private equity investment firm Permira Funds. Management and employees hold a significant stake in the company. For further information, please visit our website: www.PHARMAQ.no.